Maybe it’s the name, maybe it’s the attitude, but when I look at this piece I can’t help, but thinking of Kubrick’s cult film, “A Clockwork Orange”. 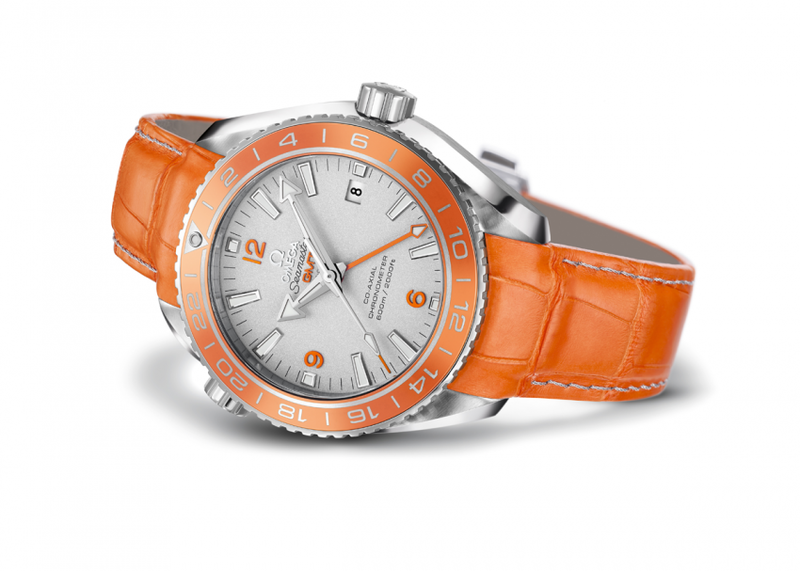 The Seamaster Planet Ocean Orange Ceramic is yet another proof that OMEGA can be really bold when it comes to design, materials and innovation and it doesn’t matter from what angle you approach this piece, you’ll stumble into a world premiere. The brushed and polished 43.50 mm case crafted from 950-grade platinum with a bi-directional 24-hour GMT rotating bezel whose polished ring is made from a patent-pending orange ceramic. 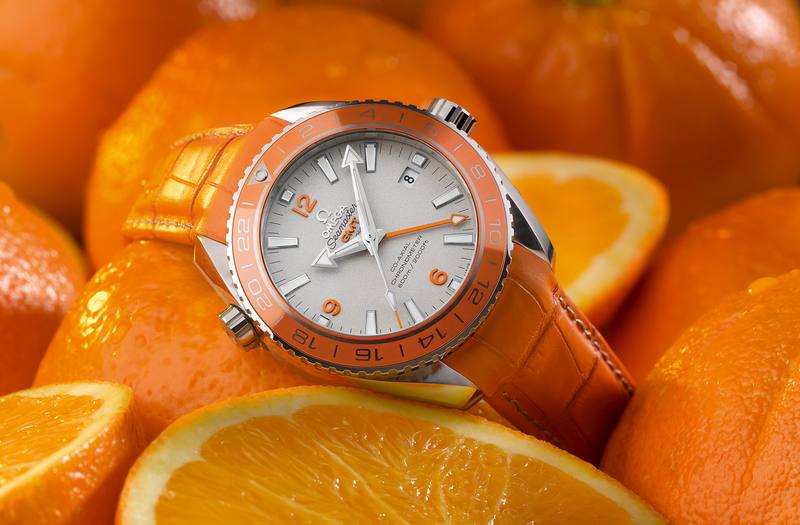 The 43.5 mm brushed and polished case on the OMEGA Seamaster Planet Ocean Orange Ceramic is made from the noble 950-grade platinum. Along with the facetted 18K white gold indexes and central hour – minute – seconds hands, there are the 6 – 9 – 12 numerals, GMT applique and the central GMT hand that rotates once every 24 hours in orange aluminium. This useful complication can be used with the rotating bezel to help you keep track of the time in a second and third time zone. 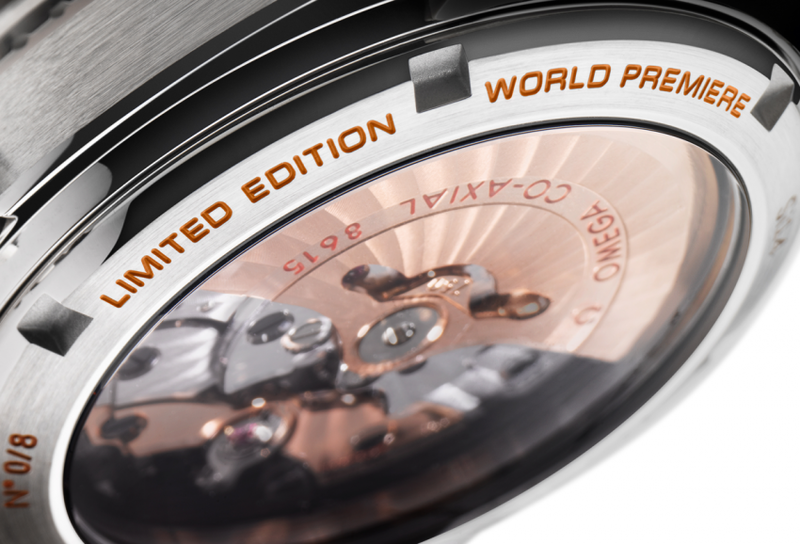 On the back of the Seamaster Planet Ocean Orange Ceramic, you’ll find the “World Premiere” engraved. The sapphire crystal on the caseback allows an unobstructed view of the OMEGA Co-Axial calibre 8615 at the heart of the Seamaster Planet Ocean Orange Ceramic. This exclusive OMEGA Co-Axial mechanical movement is fitted with a Si14 silicon balance spring. The OMEGA Seamaster Planet Ocean Orange Ceramic wristwatch is water-resistant to 60 bar (600 metres / 2000 feet). Since it was produced in a highly limited edition of only eight pieces, this bad-boy is not for anyone. It is delivered in a special wooden presentation box and comes with a four-years warranty.